Shirley E. Borghi | HOPE Global Forums | Presented by Operation HOPE, Inc.
Shirley serves as the Executive Director & Co-Vice Chairman of the Hispanic Health Coalition of Georgia, (HHCGA), a 501 c3 Non-Profit organization created to advance health policies which will improve access to services for Hispanic/Latino children and adults, create better health outcomes, prevention of Chronic Diseases and increased sustainability throughout the State. Founded in 1990, presently Georgia’s only statewide organization that focusing on better outcomes in Chronic Diseases to this population. Shirley is responsible for all day to day oversight of the HHCGA, its personnel, interns, partnerships, governance, fundraising, programs design and deployment, grants, financial sustainability and planning. Shirley has forged the organization forward into a policy, and advocacy subject matter expert as it relates to chronic diseases and behavioral sciences which impact our community. Shirley remains a recognized steward, positive game changer and subject matter expert by multiple national organizations, corporate partners, community stake holders, chronic disease experts and public policy/health think-tanks. Shirley is a highly experienced Senior Executive who continues to demonstrate the expertise to new levels of success and sustainability. Shirley is a tenured leader in multiple industries, including Non-Profits, Technology, Cutting Edge Markets in highly fast paced environments and competitive industries. Shirley possess strong business qualifications with a proven track record of more than 20 years of hands-on and senior leadership experience in sales, marketing, consulting, operations, branding, new venture, M&A, start-up, change management and business unit development, national account management, project management, and strategic alliance, channel, and marketing strategies. Shirley is highly accomplished, skilled and recognized for her leadership ability to “convert Corporate Strategy into Action and Delivery”. Shirley is a Senior Executive possessing dynamic and extensive Senior Leadership tenure of companies from $3M start-up/new ventures to multi-million-dollar enterprises ($500m), with direct accountability for cross functional staffs to 2,500+ employees with direct line multi-million-dollar P&L and Revenue responsibilities. Shirley has forged strategic business partnerships across multiple vertical markets, sectors and industries. Shirley has Senior Management tenure with companies such as; Johnson Controls, Hayes Microcomputer and Siemens Business Systems International. In Shirley’s present capacity as the steward of the HHCGA I am a recognized leader, stakeholder and subject matter expert of cultural, race and ethnicity as relates to the Hispanic/Latino Community. Shirley is a perennial award recipient in Technology. 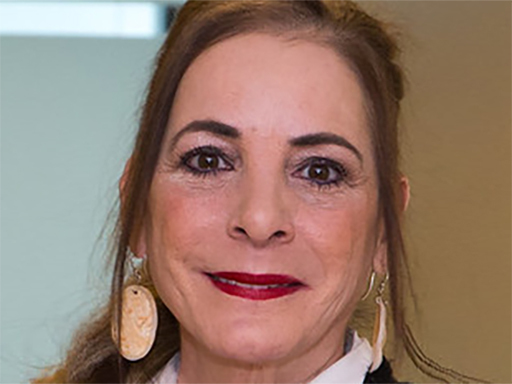 Shirley has served as a Board of Director/Advisor to the following: Icubate, Inc., The Wounded Warrior Project, Susan B Komen Foundation, Brooks Army Medical Center, and TrustLogics, Inc. Shirley is multi-lingual with fluency in Italian, Spanish and Portuguese. Shirley serves as a subject matter expert in Chronic Diseases to state agencies, Harvard Medical, Goshen College, Morehouse University, UGA Medical School, and Tuskegee University’s College of Bio-Ethics, the CDC, Georgia Department of Public Health, GSU Andrew Young School of Public Policy. Shirley is currently a Council Member for the State Forums’ for Health Literacy, Population Health, Financial Literacy and Georgians for a Healthy Future for the State of Georgia under the office of Governor Deal.